A cricket bat is either made from English Willow (Salix Ceraelea), Kashmir Willow or Alternative Willow which in its natural state are soft fibrous reeds. As such it requires preparation before it can be used to strike a cricket ball. All bats are pressed during production, this pressing gives a degree of conditioning and also enhances the ‘drive’ (or power) of the bat. Kookaburra cricket bats are custom pressed, which means that our bat maker will assess each cleft and determine how much pressure must be used to optimise drive and durability for that particular piece of willow. ‘Knocking in’ is additionally required and a very important part of the bats preparation (minimum 6 hours recommended), during which new bats are repeatedly struck using either a wooden mallet or an old ball to enhance durability and promote ‘drive’. Continue to look after your bat throughout its life by keeping care of it in a bat cover and safely in your cricket bag when not being used. During the life span of a cricket, all bats will crack given that a natural piece of wood is struck repeatedly by a fast moving object. It may be worth considering to either use fibreglass tape on the edges of the bat or an ‘Armour Tec’ facing which is quality anti scuff sheet with cricket fibreglass tape down both sides to help protect the face and edges of a cricket bat. Cricket bats are made of natural willow and like all natural materials it is to be expected that the condition of the bat over time will deteriorate during its usage. Irrespective of brand or finish of a bat, superficial face and edge marks will almost certainly appear, together with indentations or bruising of the natural willow. This happens especially when 'poly type' coverings have been used, when the covering (a man-made material) does not react in exactly the same manner as willow (a natural fibre). In these circumstances there is no need to worry or be concerned as the durability and performance of the bat will be unaffected. Almost all bats returned to us by concerned players are not the result of defects in either the materials or manufacture but are part of the natural wear and tear process of the natural willow. If you are in doubt, please contact us before returning your new bat. It could save you unnecessary postage, inconvenience and time. 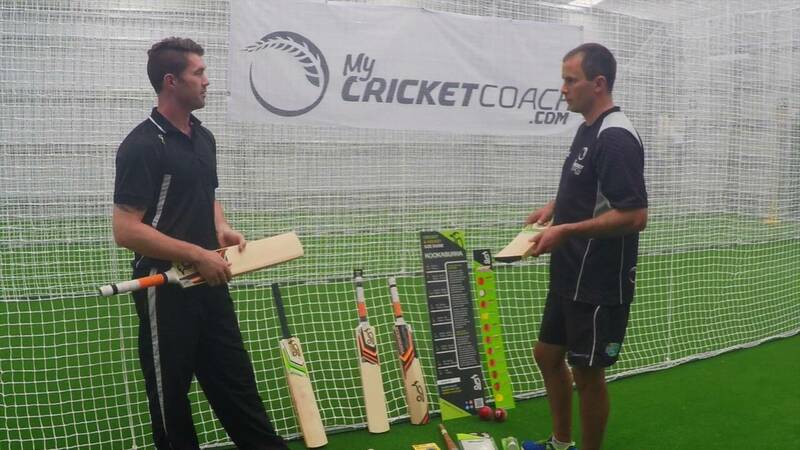 The majority of Kookaburra cricket bats sold world wide have been “Pre-Prepared” (or KPP). This process is done by hand NOT machine and greatly reduces the time needed to prepare your bat for match play. Please note that this is not a full ‘knocking in’ service and a minimum of an additional 6 hours preparation work by yourself is required after purchase and prior to a match so that you can maximise the performance and longevity of your bat. All natural faced bats MUST be treated using raw linseed or a specialist cricket bat oil. The main purpose of oiling is to maintain moisture levels within the blade, and hence reduce the chances of cracking and splitting. However, you should be wary of over oiling your bat as this can be as damaging as applying too little oil! After 24 hours remove any oil that has not be absorbed. Using a very fine sand paper (+180) give the face of the bat a light sanding and then reapply a light coat of oil to the face only. The 'knocking in' process should be undertaken carefully, using a special bat mallet or an old, quality cricket ball. The bat should be repeatedly struck (with gradually increasing force) in all areas where one would normally expect to hit the ball, this conditioning must be performed with patience. Particular attention should be given to the edges, although the edges or toe should not be struck directly at right-angles to the blade as this would be likely to cause damage. This stage should take in the region of six hours, although it may vary as every bat is different. The next step is to graduate to the use of the bat to hit short catches with an old, quality cricket ball. However, if the seam marks the blade, it is necessary to return to 'Stage one' for a further conditioning. This stage should be performed for at least another hour. Apply a Kookaburra “Armour Tec” facing, Anti-scuff or similar cover to the bat for ultimate protection. This does not negate the requirement to 'knock in' the bat. The cover may assist the durability of the bat, but under no circumstances will it totally prevent surface damage. UNDER NO CIRCUMSTANCES SHOULD A BAT BE USED IN MATCH CONDITIONS UNLESS THE RECOMMENDED STEPS HAVE BEEN COMPLETED, INCLUDING AT LEAST 6 HOURS KNOCKING IN.